We provide music therapy in Brighton and Hove and across Sussex, to people of all ages and abilities, regardless of illness or disability. It is often used when a person has difficulty accessing verbal therapies due to limited communication skills. 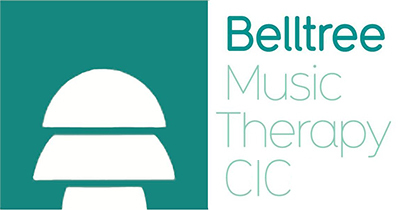 Belltree Music Therapy CIC offers a professional music therapy service to people of all ages across Brighton and Hove, and Sussex counties. We are a team of highly skilled, HCPC registered music therapists, who can meet the needs of a wide range of client groups across a variety of settings. Belltree is a Community Interest Company and was the first music therapy service to be set up in Sussex, established in 2008. We aim to broaden awareness of the benefits of music therapy to health and education services and to the public. quote from Mrs B, who has been attending music therapy with her child for 10 weeks at the Belltree Music Therapy CIC. All students that have had the opportunity to attend music therapy have greatly benefitted. The sessions have contributed towards their engagement, communication and self regulation skills. The students are always keen to start the session and are calm and relaxed at the end. © Copyright 2015 by Belltree.org.uk. All Rights Reserved.